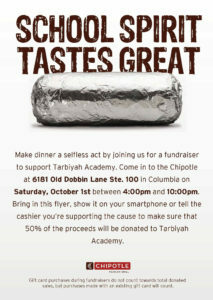 Come show your Tarbiyah Tiger Spirit at Chipotle. Make dinner a selfless act by joining us for a fundraiser to support Tarbiyah Academy. Come in to the Chiptole at 6181 Old Dobbin Lane Ste. 100 in Columbia on Saturday, October 1st between 4:00 pm and 10:00 pm. 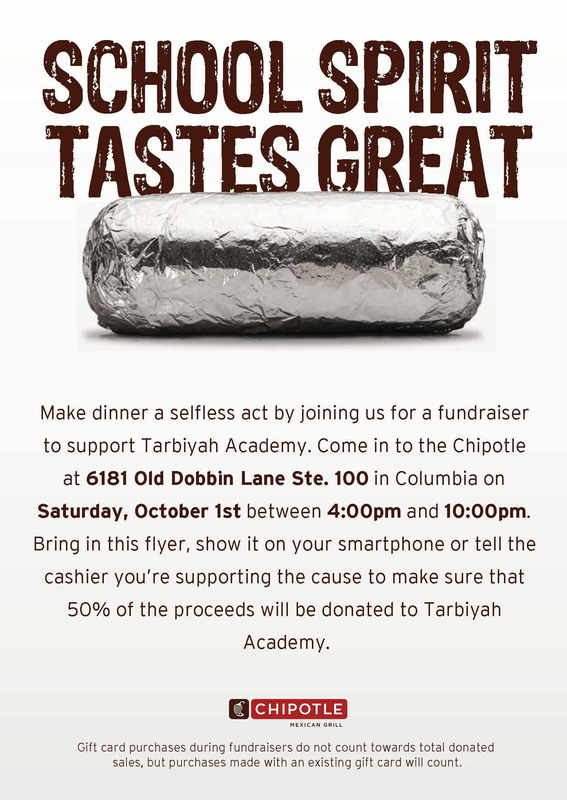 Bring in the below flyer, show it on your smartphone or tell the cashier your’re supporting the cause to make sure that 50% of the proceeds will be donated to Tarbiyah Academy.